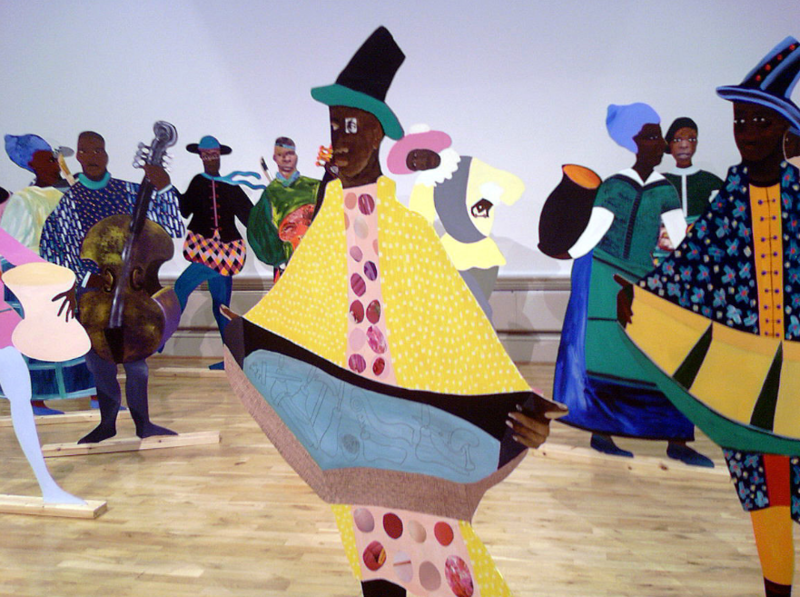 Like the African American actor, Morgan Freeman, success has come late to the brilliant artist Lubaina Himid. And we can only hope that winning the prestigious Turner Prize will now catapult Himid onto the world art stage. What is for sure is that her work is both beautiful, compelling and deeply political. At the young age of 63, Himid becomes the first woman of colour to win the Turner Prize, with high praise from the judges for addressing, ‘difficult, painful’ issues. Listening to Lubaina on this morning’s BBC Today Radio programme, she sounded like a woman clear about her mission and unfazed about being in the spotlight. Describing her pottery tea set , ‘The Lancaster dinner service’, she said many people know about Bristol and London as great cities built on the backs of enslaved Africans, but it was also true about the big mill towns in the industrial north. My work reflects that.’ She went on to say’, ‘I want people to look, to think, but above all, to go and do their bit to change the continual legacy of the slave trade.